I am so lucky to have such amazing technology as a kindergarten teacher. Lake Myra really takes the technology initiative seriously. My Kindergarten classroom has 4 computers, a smart board, my lap top, ipad, projector and elmo projector. 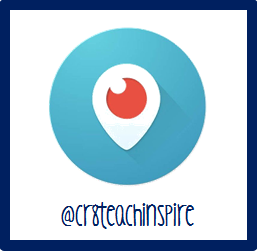 I love when i can incorporate technology with lessons that directly apply to my curriculum. 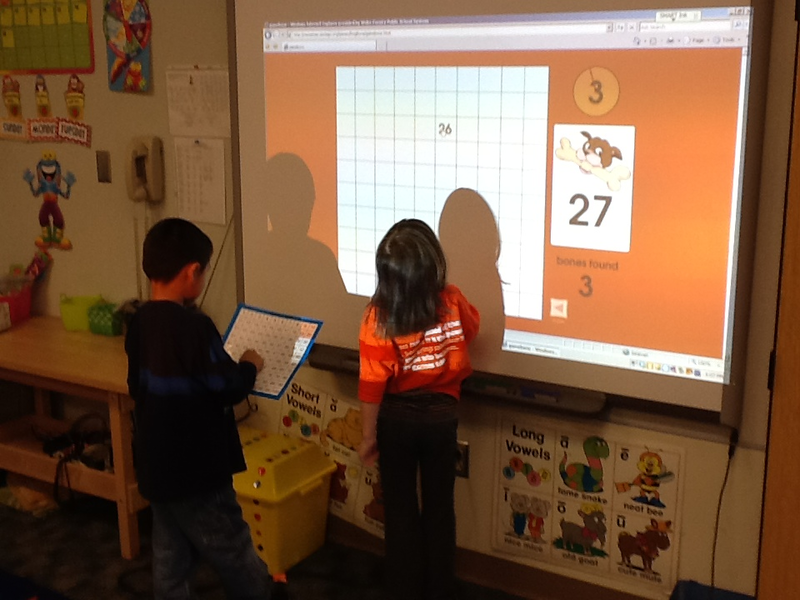 Students love using the computers and smart board. That is always the math or literacy center they want to be at. 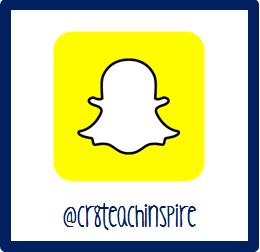 My students are engaged and love the interactivity technology provides. 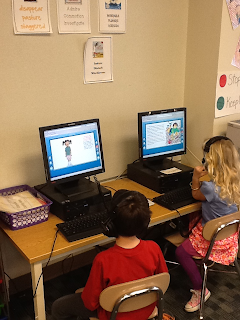 Here students are using starfall.com to listen to rhyming books. This website highlights the words as it reads them to you. Highlighting the words helps students recognize sight words, and longer words. Also, this helps students see different rhyming words. 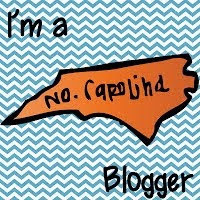 Just another exposure to text! 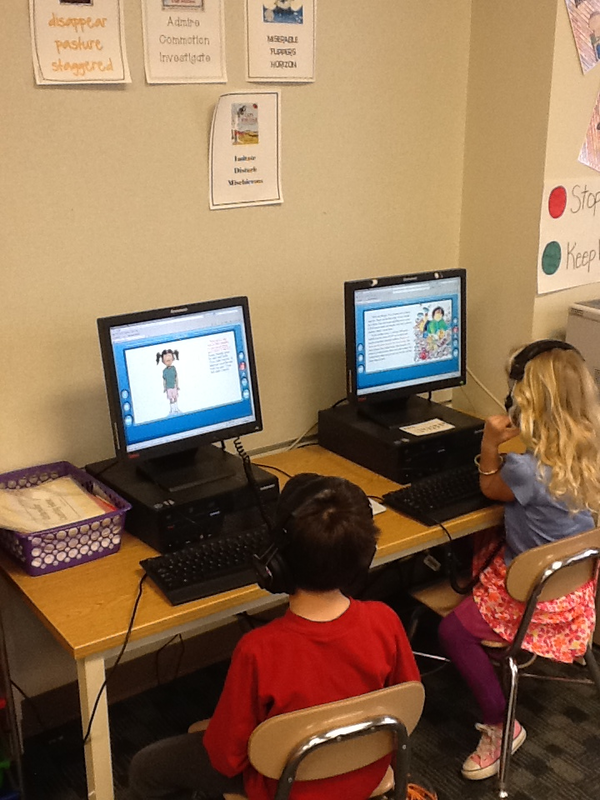 Here students are using tumble books. This is a great resource Lake Myra has purchased so our students can hear the author read their book. The expression is great in the Robert Munsch series! In my classroom, we practice sight words in fun and interesting ways. 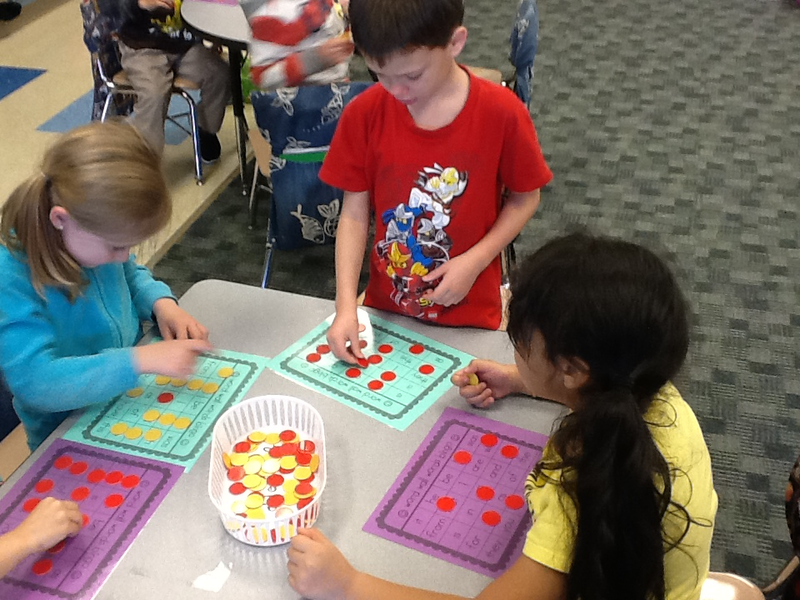 The week before track out, we used Sight Word Bingo. 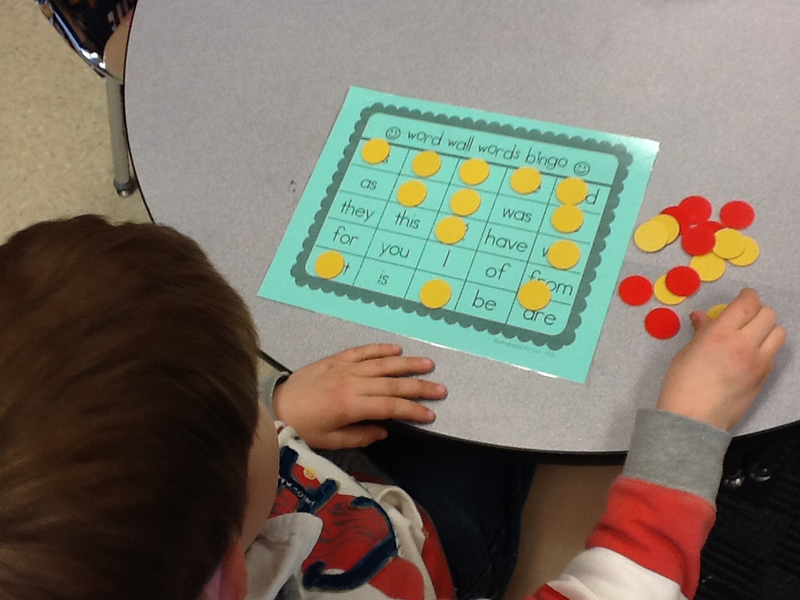 It was a fun and different way to practice our sight words. This can be done at home with your child by making your own bingo board and having a "caller" of words. Have fun practicing sight words! In my classroom, I try and find different ways for students to remember their sight words. This past week before track out, I was brave and got out rice in pans. 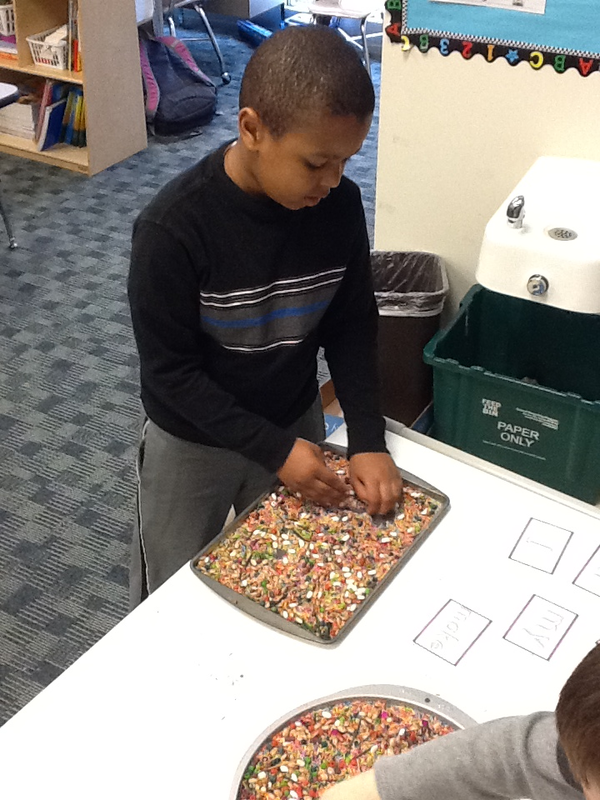 I gave the students cards with their sight words on them and they wrote their sight words in the colored rice. 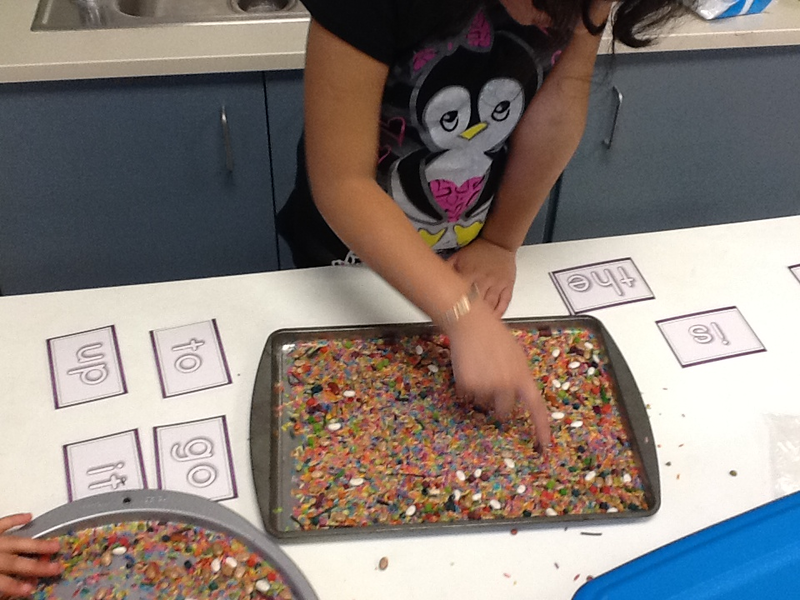 This is a fun, sensory stimulating way to teach sight words. 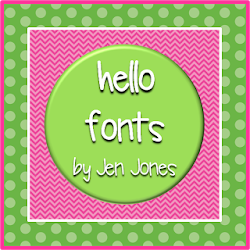 You can also work on letters and numbers. 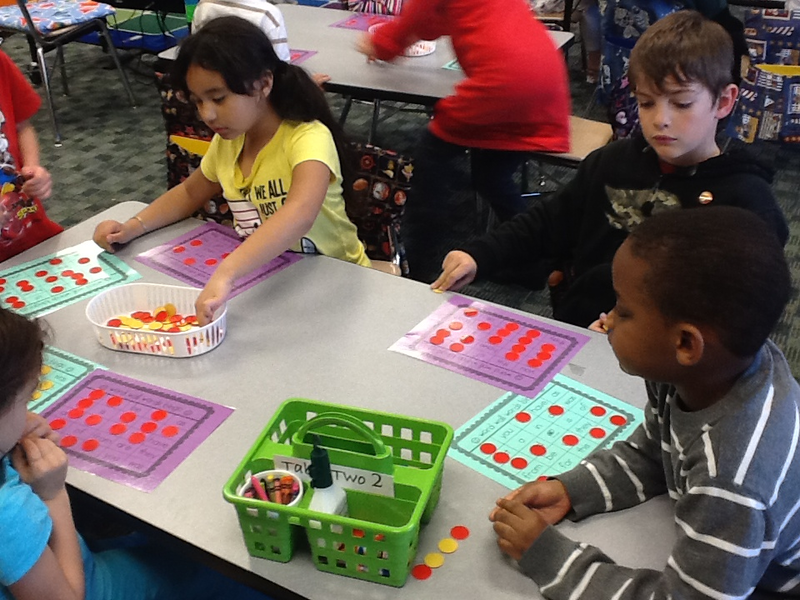 This quarter we have started Math Centers and they are really going well. We are working on number recognition, adding, word problems, shapes and one to one correspondence In my class we work on many of these skills in a mini lesson and 15 minute centers. 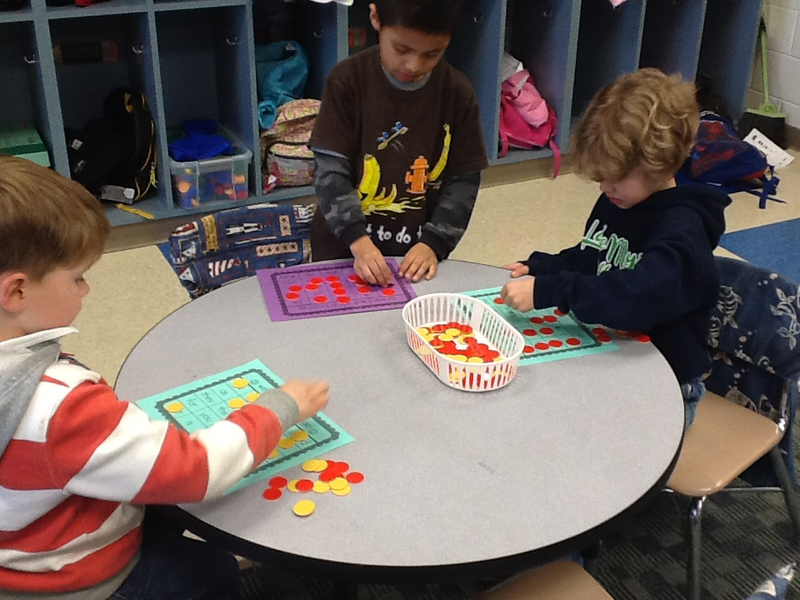 One of our centers is creating a puzzle with number words, dots and numbers. 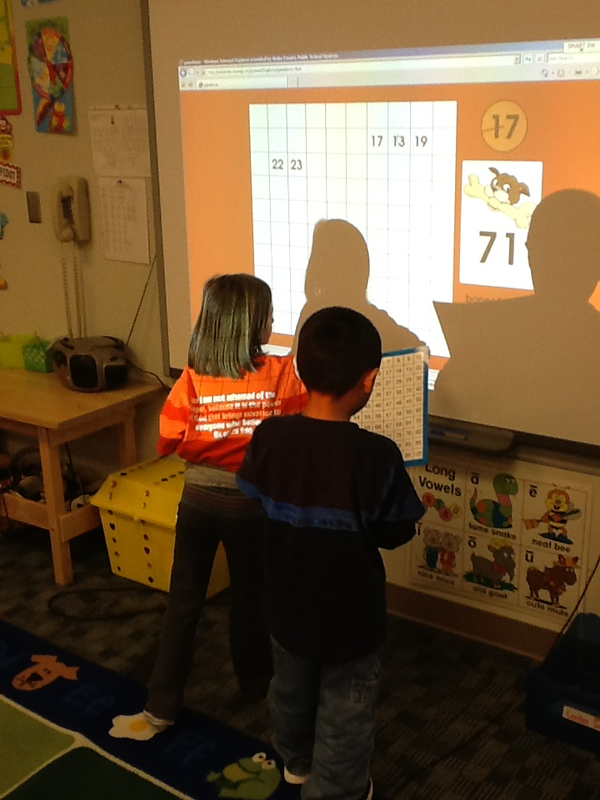 The students create a rectangular puzzle with the numbers 0-10. 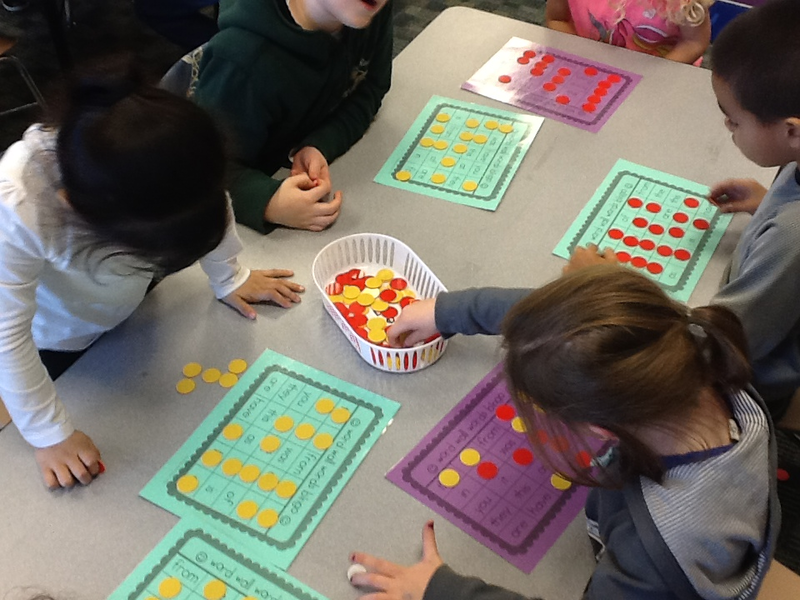 Another center the students work on is number order. 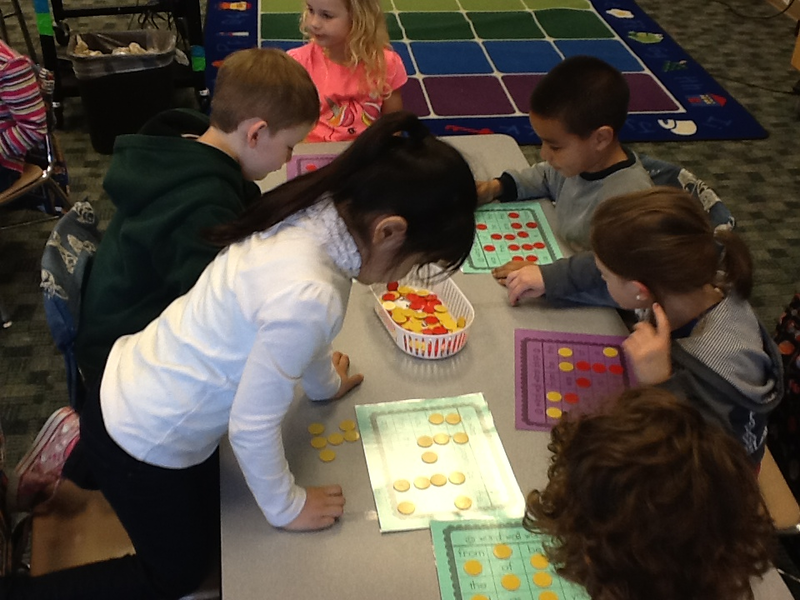 In this center we use puzzles with pictures that show the number 1-10 or 11-20. 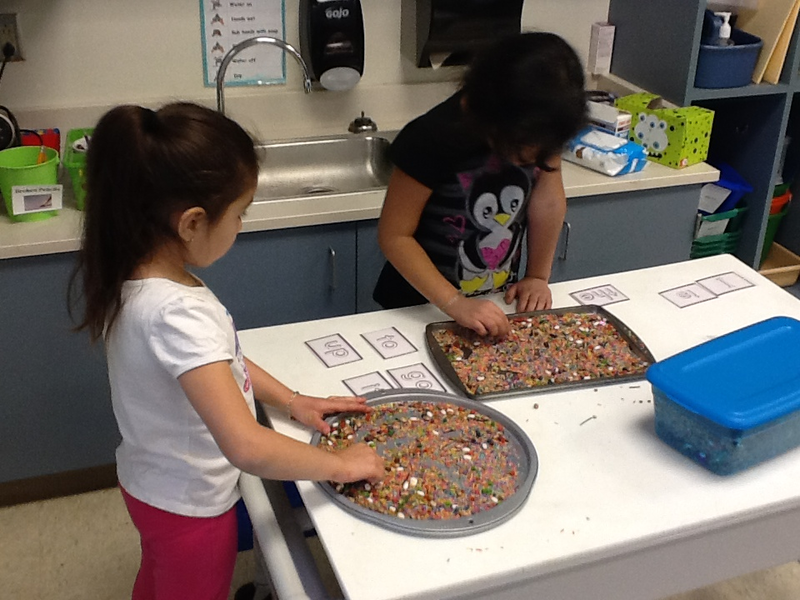 Each student will get a puzzle and put it together based on the picture as well as number order. Also in Math we have been working on 1:1 correspondence. 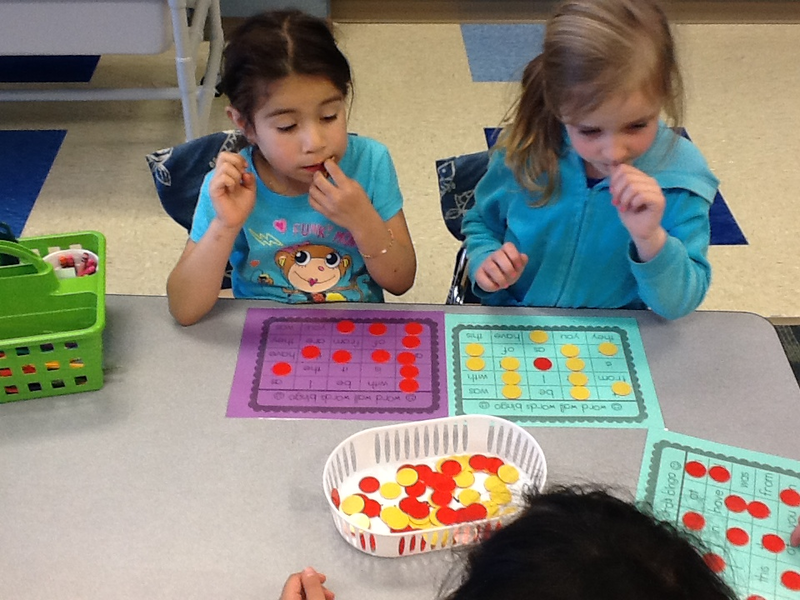 The students flip over a number card 1-20 and they have to find the matching card that has the same amount of dots. This particular activity was used on Valentines Day with hearts. Remember, most of these activities can be done at home too! Last week all of the teachers at Lake Myra worked so hard to create centers for Family Literacy Night. This is a night for all of the families to come in and participate with their children at the Literacy centers! (We also had a book fair, free pizza, face painting and a magician. In Kindergarten we worked on sight words because it is recommended that each student knows 25 sight words by the end of this quarter. 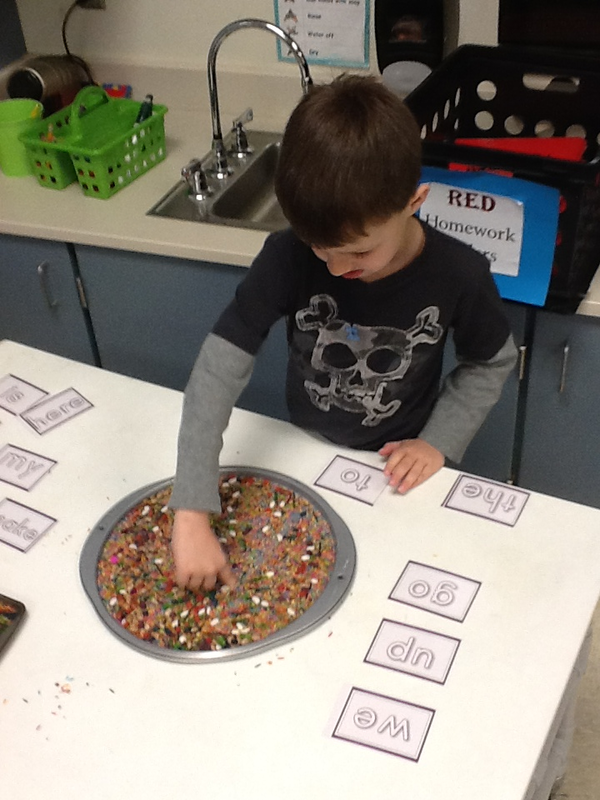 Our Centers included Play Dough Sight Words and Slap Jack Sight Words. 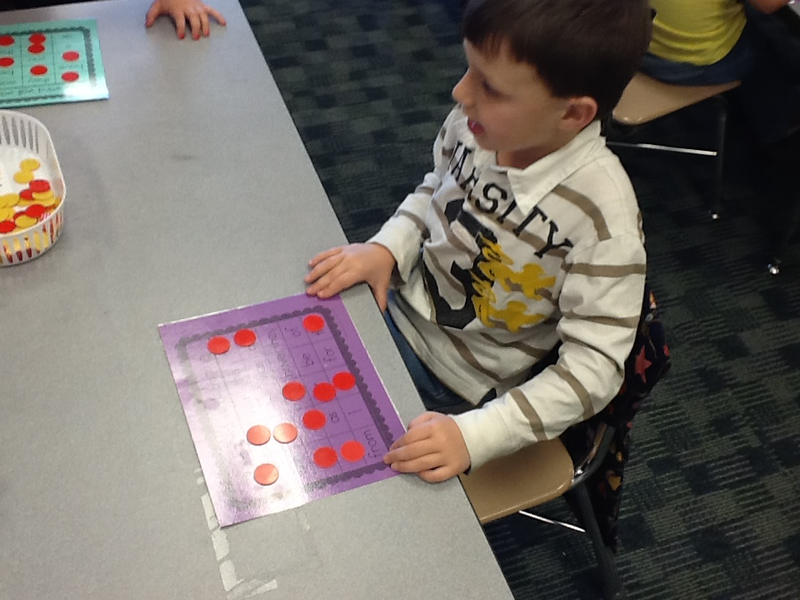 With Play Dough Sight Words we printed all of the 25 Dolch Sight Words and laminated them into play dough mats. 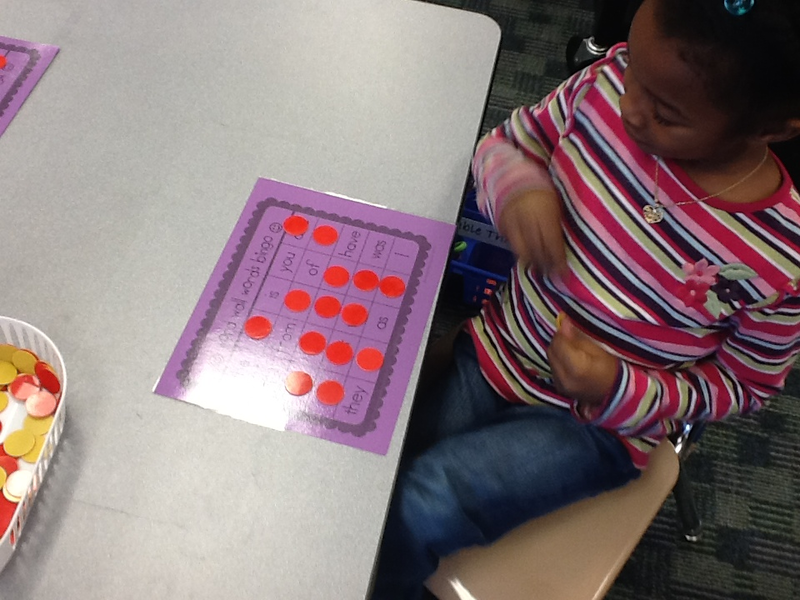 Slap Jack Sight Words is a game that is played with students to gain quick recognition of sight words. We wrote down sight words onto paper and cut them out into the shape of hands. Then we laminated the hand prints. When we said a word the students would have to find it and slap the word. The first student to slap the words gets to keep it. 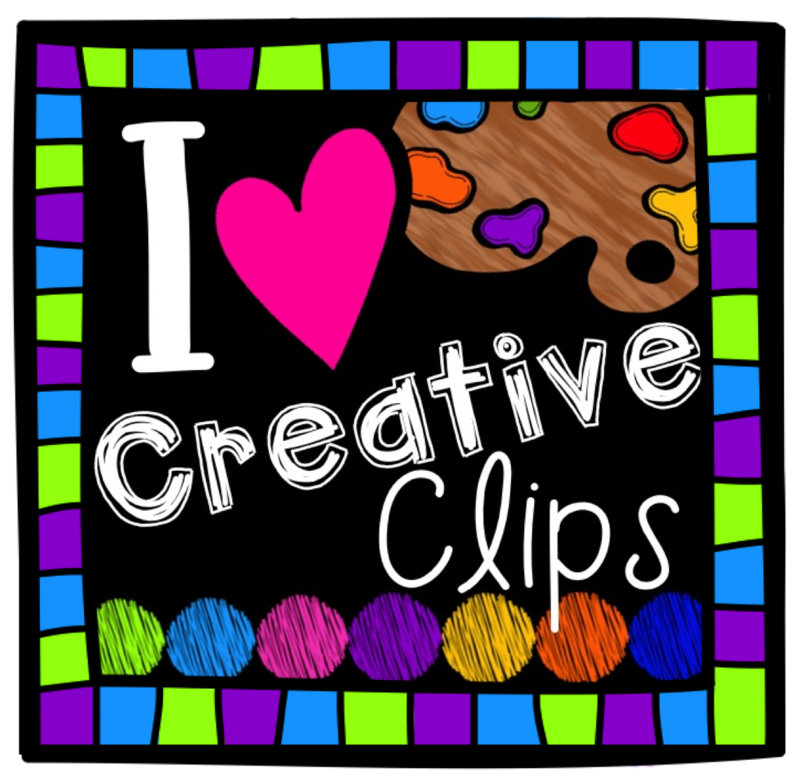 If students are just slapping any word and not reading then they have to give a card back! This is a great game to increase sight word recognition and really forces the students to focus and read the word before slapping it! Last week was Read Across America Week and our class had a ton of fun dressing up and participating in our school spirit week! We had book character day, flip flop fashion disaster, pajama day, sports day, spirit day.